“The studio, [vs. the factory of the twentieth century] on the other hand, is about initiative. Creativity, sure, but mostly the initiative to make a new thing, a better thing, a process that leads to better. Authority then is largely dispersed in a studio setting; in a modern work setting. If that’s true then everyone is leading, with varying degrees of success and capability, through initiative and the taking of responsibility. In the Product Management world we like to talk about influencing without authority. That is outdated. If authority is dispersed and less important, then don’t try to shoehorn influence into authority’s wake when what’s really needed is leadership. I bet you could tell me right now if you are currently working in a studio or factory. 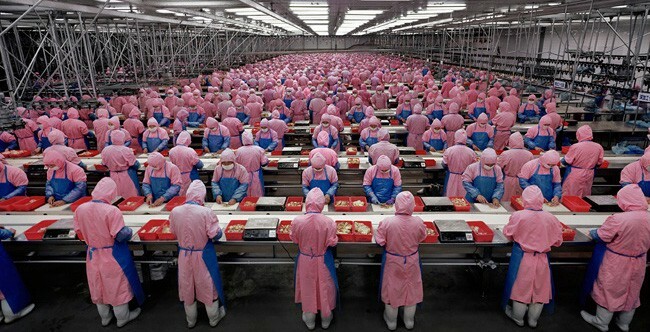 A product manager in a factory is simply an assembly line manager. You’ve inevitably been reduced to an unglorified project (or program) manager who struggles against illogical deadlines and simultaneously does whatever possible to meet those artificial deadlines. There is no “influencing without authority” because authority has literally been assigned and allocated to someone else. I would then say the reason you’re almost certainly unhappy is that you continue to operate under the false assumption that you’re in a studio, not a factory. The PM tools and processes you know you should use are not working, because they’re being applied to the wrong problems. For the disgruntled factory-worker product folks, quit. Find a new job at an actual studio — it will blow your mind. Or start your own company formatted as a studio. Once you find and join that studio, or if you are reading this and are fortunate enough to already be in one, your next task is to optimize for initiative and responsibility. If you’re doing those two things with some aplomb then it’s highly possible that your peers would confirm that they see you as a leader. When people around you view you as a leader, then you’re doing the real work of product management.